WEDNESDAY, April 17, 2019 -- Abnormal performance on the Romberg test is independently associated with longer duration of symptoms among children and adolescents evaluated within 10 days after concussion, according to a study published online April 16 in the Journal of Neurosurgery: Pediatrics. 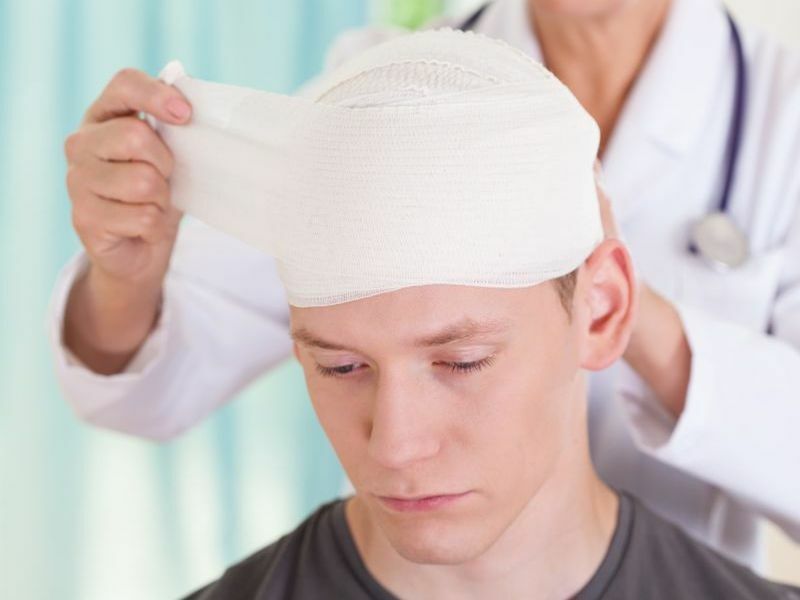 David R. Howell, Ph.D., from the Children's Hospital Colorado in Aurora, and colleagues analyzed data collected from a prospective clinical registry of pediatric patients with concussion. Predictor variables associated with time until symptom resolution were assessed within 10 days after injury. Data were included for 351 patients. The researchers found that several variables, including headache severity (hazard ratio [HR], 0.90), headache frequency (HR, 0.83), confusion (HR, 0.79), forgetfulness (HR, 0.79), attention difficulties (HR, 0.83), trouble remembering (HR, 0.84), getting tired often (HR, 0.86), getting tired easily (HR, 0.86), dizziness (HR, 0.86), and abnormal performance on the Romberg test (HR, 0.59), were associated with longer duration of symptoms in univariate Cox proportional hazards models. In a multivariate model, there was an independent correlation for abnormal performance on the Romberg test with longer duration of symptoms (HR, 0.65). "As the Romberg test may identify both those patients who are experiencing postural instability and those who are exaggerating their symptoms, abnormal test performance within the first 10 days after a concussion may alert clinicians to recognize pediatric patients who are at risk for developing persistent symptoms," the authors write.